A comprehensive implementation methodology is a critical factor in the delivery of a quality product. This methodology will be customized to meet the unique requirements of our customers’ projects. 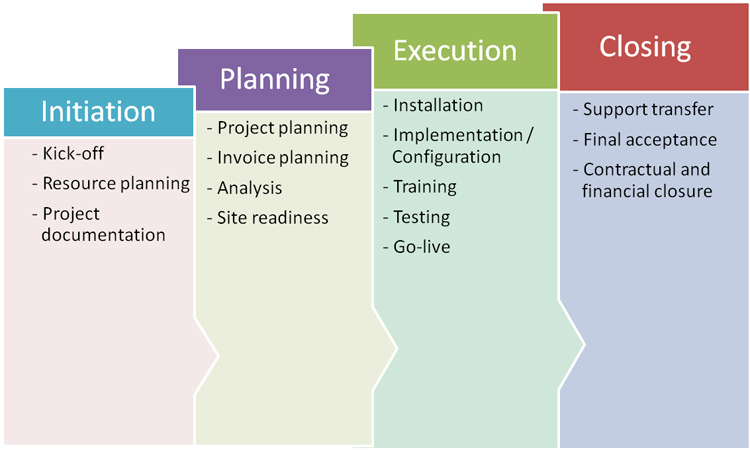 Our implementation methodology is simple and structured. It allows the achievement of project objectives within a specified period of time and in collaboration with various resources for the project. 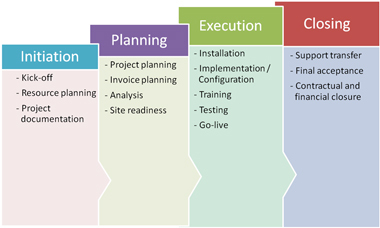 The following diagram shows the organization of project activities in four phases.